If swallowing is difficult you might have trouble swallowing medications. Liquids may not wash down a pill, or dissolvable pills may start to melt on your tongue and stick. Place tablets at the back of your tongue, and the drink or food will gather it and push it to the back of your mouth so you can swallow it. 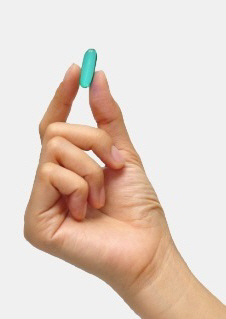 Capsules might be easier than pills. Place these at the front of your mouth, and let them float down with the liquid. It may be easier to take pills by placing them in a spoonful of smooth food such as yoghurt, custard, stewed fruit, or porridge. Your speech-language therapist can give you some tips on how to make taking your medications easier. Some medications can be given in different forms, for example crushed, chopped, or as a liquid. Talk to your pharmacist about other ways you can take your pills.